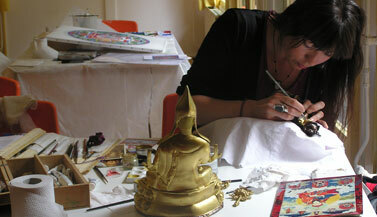 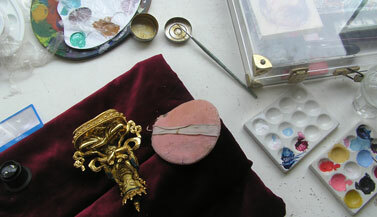 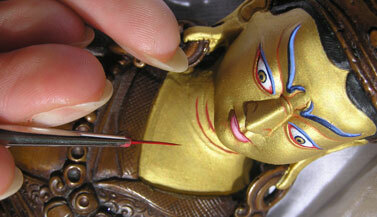 Carmen Mensink can paint and gild your Buddha statues according to Tibetan-Buddhist tradition. 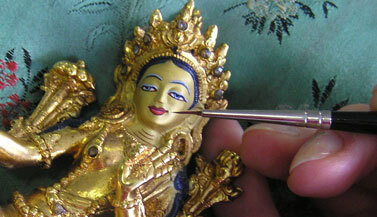 Traditionally, on a bronze Buddha statue the face is painted (one rarely paints the complete statue), and this is done with pure gold and pigments. 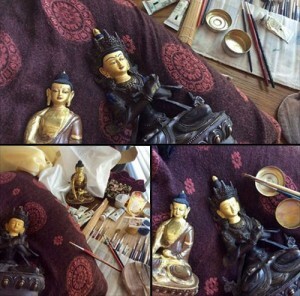 Here are a few examples of the Buddha statues painted by Carmen. 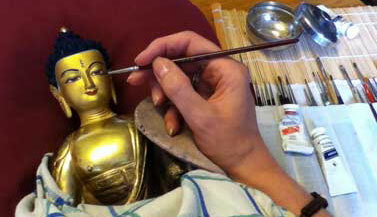 Click on the image to see the name of the particular Buddha and click again to read more about the deity and the way it was painted.